Your condo association may have insurance to cover your building and common areas, however it doesn’t usually cover damage inside your unit. So, you are typically responsible for your own unit from the walls in, as well as all your personal property. 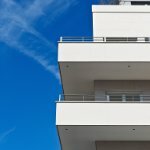 Each condo association may require you to cover different things, which is why it’s so important to work with an insurance professional. We’ll help you determine what needs to be covered and then find you the best condo insurance rates. Contact us or request quotes to get started. Liability Coverage – Covers you against claims from persons injured on your property. Personal Property Coverage – Covers your furniture, clothes, appliances, and other personal property. Loss Assessment Coverage – Covers you if the HOA policy limits are exhausted or you are assessed for a portion of the HOA policy deductible. Scheduled Property Coverage – Covers special, high value property like jewelry, art, and guns that ordinarily have limited coverage. Medical Payments – Covers small medical bills for guests that are injured on your property. Equipment Breakdown Coverage – Covers appliances from sudden breakdown, not from normal wear and tear. We’re Independent – Unlike captive insurance agencies (American Family Insurance, State Farm Insurance, etc.) we work with over 30 insurance companies, to find you the best condo insurance. The Jim Brant Agency is on your side, not the insurance company’s.